Elisabeth Bik is reporting from the Keystone Symposium: Great talks, links to my tweets, but also some critical notes. 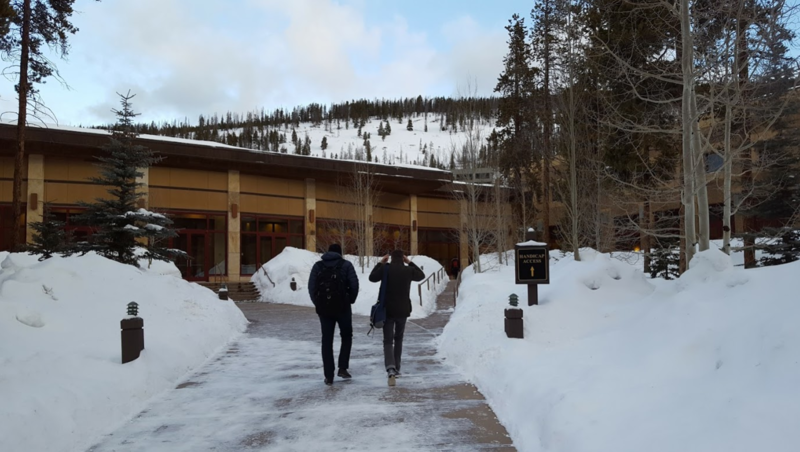 Last week (February 5-10) I attended the Keystone Symposium "Microbiome in Health and Disease" in Keystone, Colorado. Keystone is a charming ski-resort high in the mountains about 2h West of Denver. 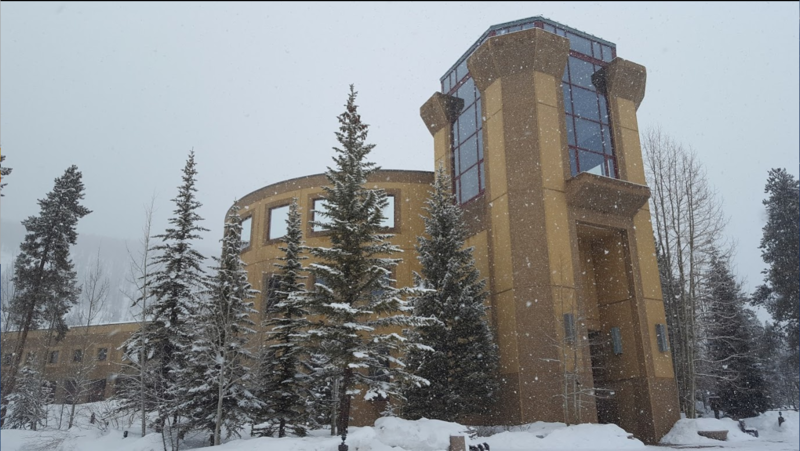 It was snowing most of the week, and the high altitude (9200 ft, 2800 m) was a bit challenging for us flat-landers, but the location was beautiful. 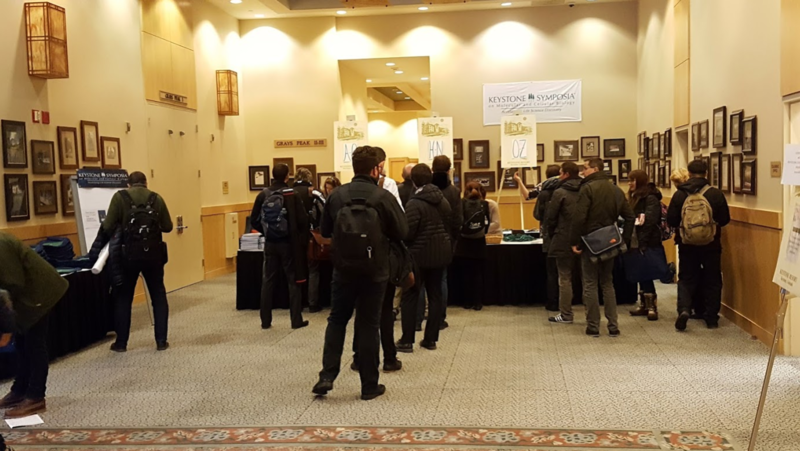 The symposium was attended by over 400 people from 28 different countries, and pretty intense, with talks starting at 8 AM every morning, and poster-sessions that ended at 10 PM. During the sessions, photography or other recording devices were not allowed, as to encourage the speakers to present not only published studies, but unpublished findings as well. It was not very clear at first if tweeting was allowed. As you might now, I like to tweet, so I made sure to ask the moderators of the sessions for permission, and all said it was OK. And so I live-tweeted all the talks and combined my and other tweets with the hashtag #KSmicrobiome into four Storify's, one for each conference day. Each link will lead to a collection of tweets, that together cover almost all the sessions. Almost all talks were excellent, although some more immunological talk were hard to follow and even harder for me to tweet. 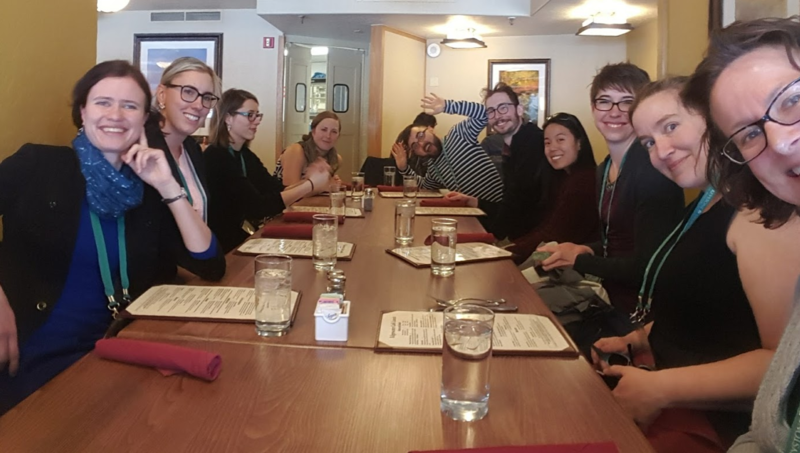 The organizers had put together a varied program, with few survey-type of microbiome talks, and lots of applied and functional stories, many of the "big shots" and ample of time to socialize. We also did a "Tweetup" with 11 people, and it was great to put some faces to some of my followers. There were a couple of things that were a bit disappointing. I will be quite honest and just write what I think, without having to worry about ruing my chances to be invited to one of these meetings, because I never will be anyways. 1. Some people were missed. There were some people who I think do excellent and important microbiome research, and who have worked on freely available tools that many of us use, but who were not invited. I would have loved to see them at this meeting. As in any community, the microbiome field has its cliques and favorites, but we are all adults, and we should embrace different voices and opinions. Some people were dearly missed. 2. It was hard to talk to the invited speakers. I found it very hard to talk to the established big names. I am a super-introvert and not a good networker, but I made an effort. However, the invited speakers did not interact much with the rest of the audience; and they were usually spotted sitting at a round table talking to each other, without room for others, or they simply disappeared during the breaks. One time, I patiently waited next to 2 talking VIPs in an otherwise empty room. They clearly saw me, looked at my tag, and then kept on talking to each other while ignoring me. I stood there for a while, hoping for a gap, but they did not stop talking to each other. I stood there for 10 minutes, feeling more and more stupid, and then I just left. This was hurtful, embarrassing, and mean. 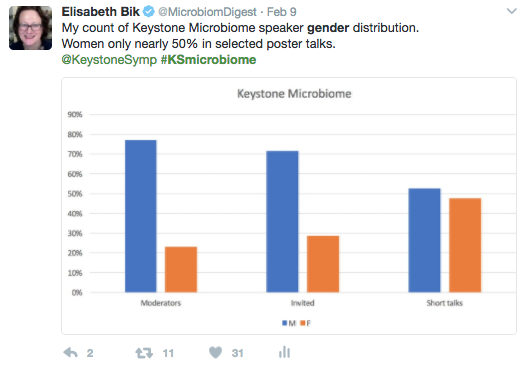 My blog MicrobiomeDigest (500 views a day - every day) and twitter account (over 9000 followers) serve a large part of the microbiome community with links to new papers, and during the conference at least 30 young researchers came to thank me for those. That was great and that warmed my heart. But I would have welcomed some discussion with the senior researchers as well. 3. Skewed gender diversity. At first glance, the conference appear to have roughly the same number of men and women speakers, which was awesome. But on the 4th day of the conference, most talks were by men, and so I started counting the totals of combined 4 days. I also had noticed that many of the short talks - which were selected from the poster contributions - were by women and that many of the invited, longer talks were done by men. So I looked at the list of speakers and grouped them into three categories: short talks, invited talks, and moderators. And the results were pretty disappointing. Within the short talks, there was a nice equal distribution of men and women. 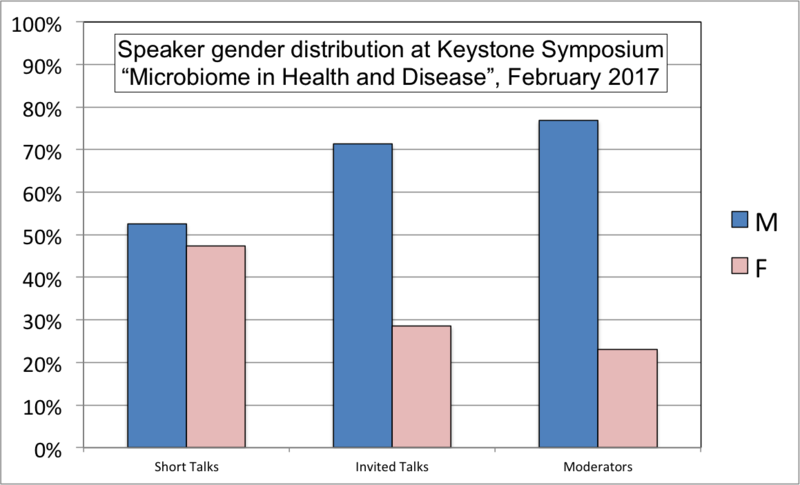 At the invited talks, however, the percentage of women dropped to below 30%, while at the moderator level it was at about 23%. 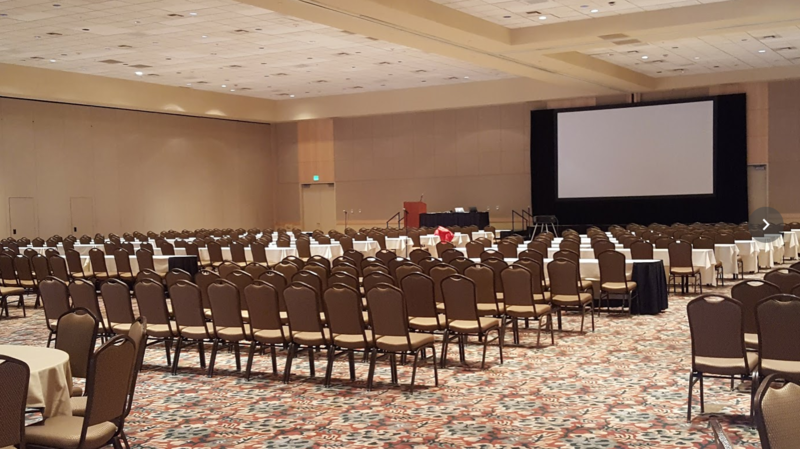 I know that this is still higher than at many other conferences, but for a symposium organization that proudly proclaims that diversity is one of their main focuses, this was lower than I had hoped. I tweeted a slightly different version of these stats too, but so far I have not received any response from the organizers. But again, I am just a minion, so they probably do not care about that at all. 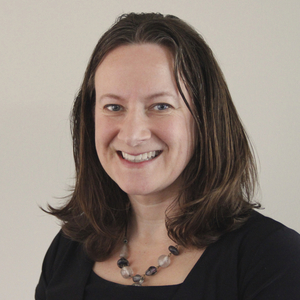 I can only point out my list of Women in Microbiome Research again; a list of over 400 names of professors, senior scientists, and CEO's, all who would love to be an invited speaker at the next microbiome conference. Overall, it was a great meeting with fantastic talks, much to lean, and lots of interactions between the non-invited speakers. Gender diversity and interaction with the invited speakers were both lower than I had hoped for. Food was great, location was beautiful (albeit at very high altitude! ), and the organizers and conference staff were all wonderful. 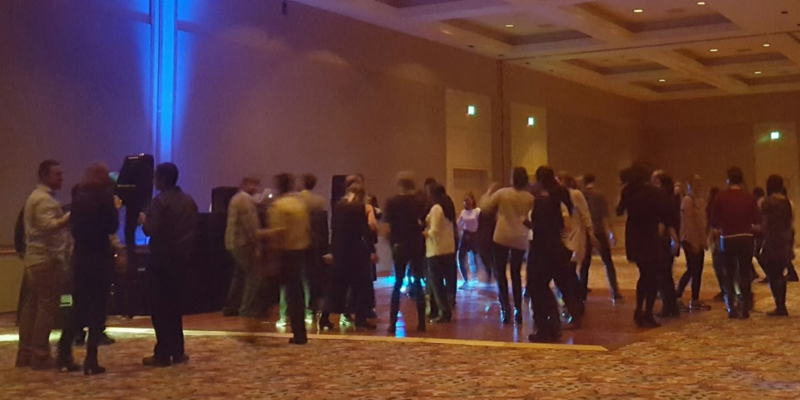 And we ended the conference with a big party where old and new friends showed off their dance moves. Great meeting report Elisabeth - shame you couldn't join us in Singapore. Please keep up the great community postings, they are highly valued.